​​​​NORTH TEXAS – Housing statistics for February ​2018 have been released by the North Texas Real Estate Information System (NTREIS) through Clarus. Also see Austin-area home sales include Buda, Driftwood, Marble Falls​. 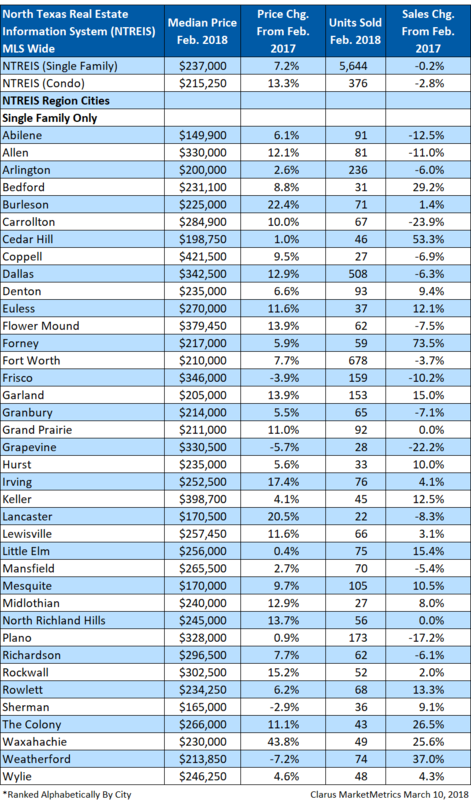 ​See als​o: Dallas-Fort Worth-Arlington Housing Market Research.